SOG Speciality Knives are a really great brand and this X Ray mini knife is no different. Easily foldable away with one hand, it’s a light but durable option when you’re looking into buying a pocket knife. 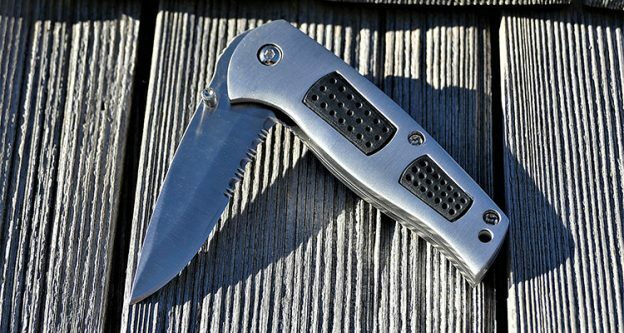 The part serrated edge towards the handle is a rugged little number taking up half of the 3 inch blade. 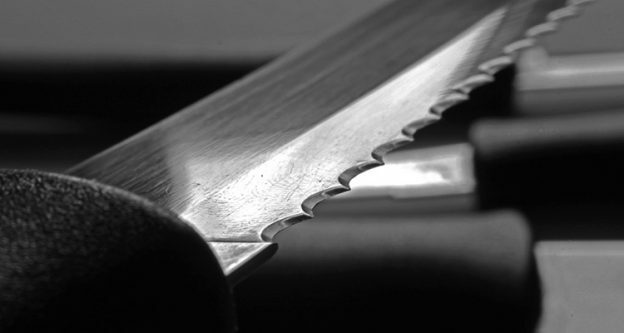 The blade itself is a stainless steel finish with a thickness of 0.12 inches. Sharp as a tac and simple in design, this would be a great knife to purchase as a first time pocket knife. And it could be even the definitive one: it’s used, in fact, by soldiers and police officers so why not take a look for yourself? This Benchmade flip pocket knife is not too dissimilar in style and appearance to the previous SOG knife. The blade with it is 3.91 inches, with a closed size of 4 inches, it’s a tidy pocket knife in a nice blade colour. The flick from the knife is located where the thumb holds the knife, which makes it a quick, easy motion to eject the knife from the tucked away handle. The price may seem a little steep but you also get a great accessory with it: the Benchmade blade sharpener to ensure that the blade is always as sharp as you like. After a couple of knives in the same style, I thought I would give you one that is completely from another league. The Cold Steel Talon 2 is one of the nicest, and possibly one of the best folding pocket knives out there, visually at least. A curved shape, this knife had a sharp as anything blade that is 3.5mm thick, a really mean width for a standard pocket knife. 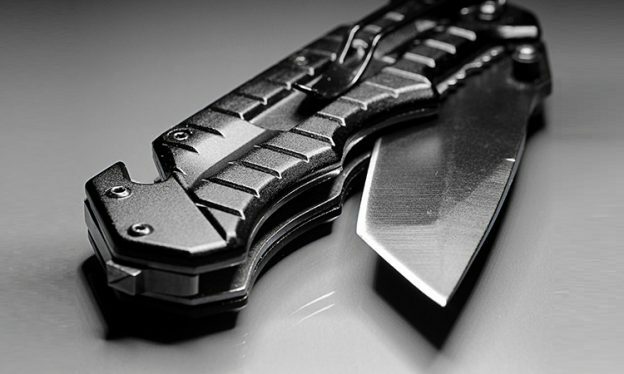 The blade itself is 4inches long, with the total size of the knife clocking in at 9 ½ inches. A large pocket knife indeed. With a pocket clip to improve storage you’ll find it easy to either place on your pocket or belt and hide away. Made from stainless steel on the handle and blade, this knife is a tough little cookie. Another knife from a different style, the Nilakka from Spyderco is a really small pocket knife that actually looks a lot like a standard non-folding knife. A little smaller in blade than a few of the other options, only being 3.51 inches, the knife itself is actually a standard size (8.31 inches). The handle material is made from G10 and has a really nice, really smooth finish, even if the colour of the knife itself leaves a little to be desired. It may not be the best knife in the world, but it certainly does its job, and is a traditional looking knife that will please collectors and users alike. Made by German knife company Böker, this is a super interesting knife, in both style of the knife itself and the way it looks. The blade itself has an unusual but attractive two-tone finish to it and is a chunkier proposition than a lot of the other slimline knives on offer. The frame itself is a titanium base with a solid open and close lock. Although it might be a small knife, it weighs a fair bit at 4.7 ounces. Finally, this design has a lifetime warranty on it, so expect to have this around for a long time if you purchase it. 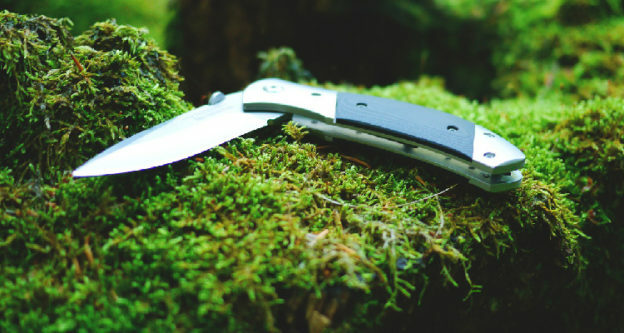 In my opinion, this is the best folding pocket knife. 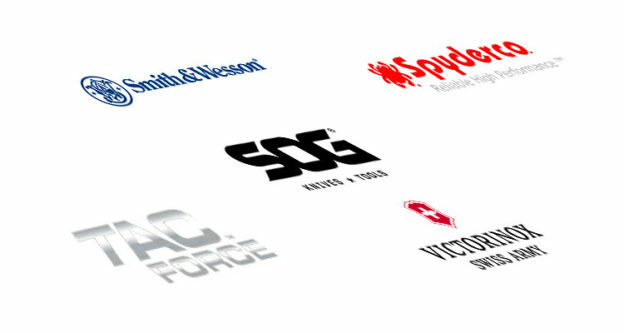 Hopefully out of the above options you’ve found the best knife for you. There’s a large array of choice for you here, with designs and size fluctuating as you spring between one brand and another. I really like all of these knives, they all have something to offer. The Boker knife is unusual in that it’s small but heavy. It’s a really cool looking piece of kit. You personal preference will decide which you edge towards, but we’ve given you a great platform to go on with.